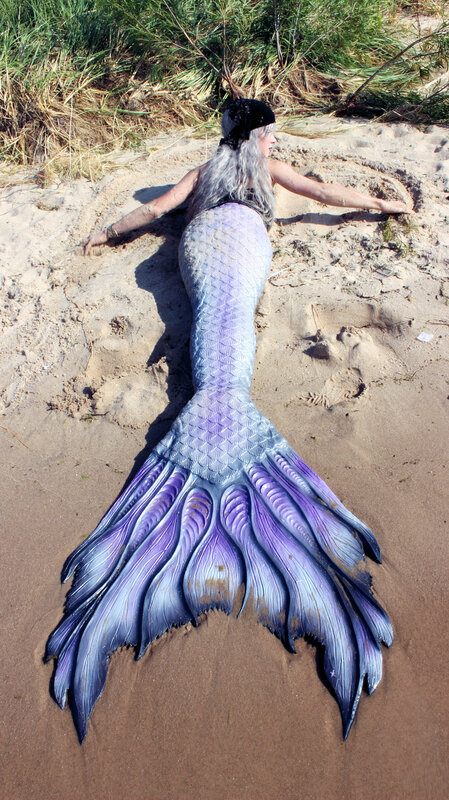 A photo taken of me (Mermaid Phantom) after my first swim in Lake Leelanau. We didn't get any video footage from the swim that day, but my dad did manage to snap this cool picture! Mermaid Sighting: Mermaid Phantom Swimming in the Sunlight- The silver mermaid of Lake Michigan was spotted swimming near Grand Traverse Bay on a sunny July day. 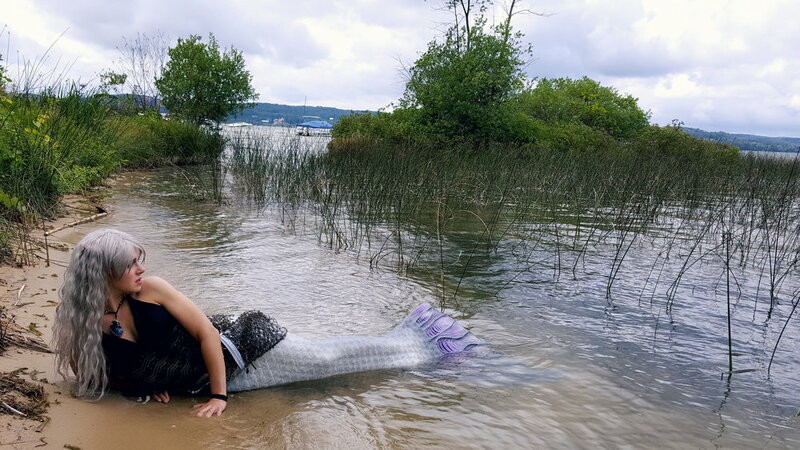 She is one of the many freshwater professional mermaids to be found in the area, and can often be seen dashing alongside piers and docks. You can see pictures and videos footage of her here, along with learning more about why it is that she chooses to swim so close to shore.